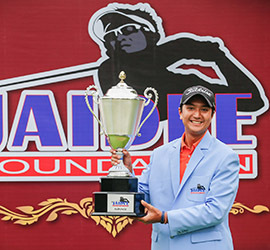 Sadom Kaewkanjana got an ace en route to land his second win on the All Thailand Golf Tour at the Thongchai Jaidee Foundation 2019 in Lop Buri on Sunday. 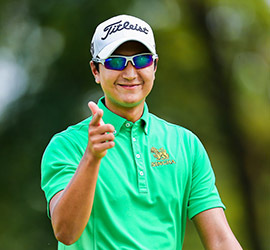 Sadom Kaewkanjana fired a commendable six-under-par 64 to grab the lead in the third round of the Thongchai Jaidee Foundation 2019 on Saturday. 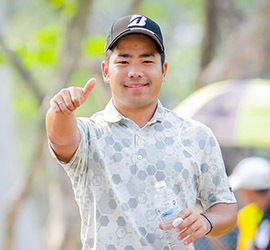 Overnight leader Kazuki Higa posted a 3-under-par 67 to take a one-shot lead at the halfway stage of the Thongchai Jaidee Foundation 2019 in Lop Buri on Friday. 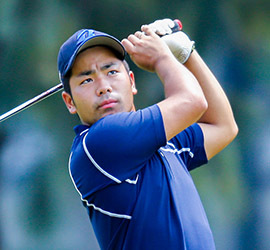 The 23-year-old made a fast start with five consecutive birdies in his opening six holes to take the clubhouse lead at the ฿4million (approximately US$123,000) event co-sanctioned by Asian Development Tour.